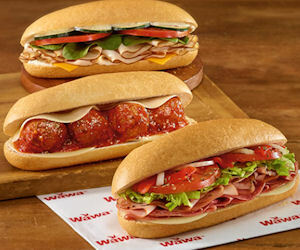 Get a free Shorti Hoagie when you join Wawa Rewards August! Download the Wawa Rewards app to get started. Complete the registration and add a Wawa Gift Card to your account between August 1st - 31st to receive a Free Shorti Hoagie Bonus Reward coupon within 24 hours after adding your first gift card! Valid for new Wawa Rewards accounts only.